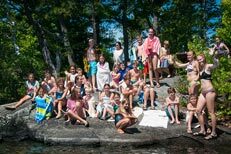 RDC is much more than a rustic resort, we are a family camp steeped in over 100 years of Squam Lake tradition bringing families and friends together in the natural beauty of the lakes region of New Hampshire. 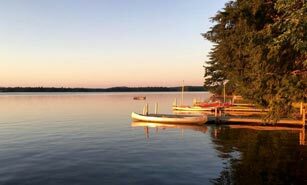 Rockywold Deephaven Camps accommodations offer cozy cabins, cottages and lodge rooms with rustic and vintage charm on the shores of beautiful Squam Lake. Families enjoy delightful meals in a home-style fashion. This unique experience provides you with the opportunity to quietly read a book by the lake, take a swim, go fishing, or sign up for a range of activities like softball, boating, guided nature walks, and tennis. 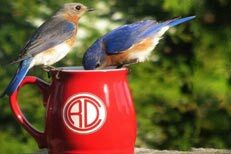 RDC hosts numerous reunions and events for large family gatherings or conferences and we offer special group and conference rates. 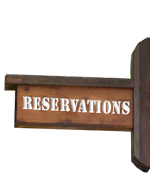 Reservations for your Squam Lake family vacation can be made starting February 15th. Groups of all ages love RDC! 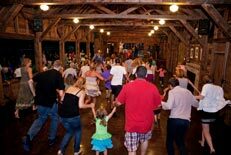 So many activities for your family fun! Rest assured, whether you are seeking a friends and family gathering or a romantic getaway, we have a variety of options to choose from. 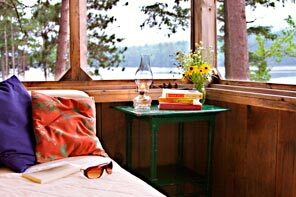 Accommodations range from private two-person cabins and cottages to our 24-bed rustic lodge with hand-hewn beams and wrap-around porches, all environmentally friendly and built just for vacationing on beautiful Squam Lake. There are many lovely porch corners, sunny docks, and secluded spots all over RDC where you might read a book, relax or meditate to your heart’s content, but if you are in the mood to run, hike, sail, swim, fish, play games or participate in a mini-triathlon – well, we’ve got all of that waiting for you, and more. 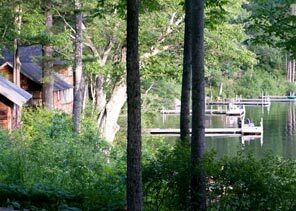 Rockywold Deephaven Camps (RDC) is a remarkable retreat on the shores of Squam Lake that was specifically created over a hundred years ago to provide a peaceful respite from the demands of our busy lives. The camps’ natural beauty and rustic ambiance will connect you with an experience that is hard to put into words. 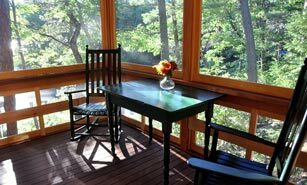 We have exquisite scenery made up of vintage cottages nestled along the shores of Squam Lake, one of New England’s most pristine lakes, and the southern edge of New Hampshire’s White Mountains. You may find, as we do, a unique family resort that calls your spirit home. 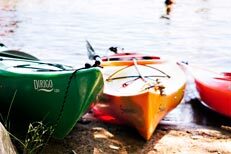 RDC has a fleet of canoes, kayaks, stand up paddleboards (SUP), Sunfish sailboats, hydro-bikes, rowboats, rowing canoes and 4 horsepower motors available for rent. Get out and explore Squam Lake! 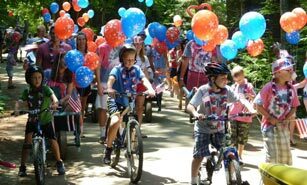 Fourth of July, Wellness Week, Tennis Week, Calm Squam Week, Dog Days and more! 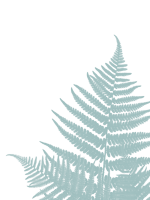 Check our calendar for the most exciting annual events! Be sure to pick up your “Sneek-a-Peek” activities calendar when you check in for all of the weekly events and activities! RDC is ideally suited for groups of people anywhere from 25 to 400. 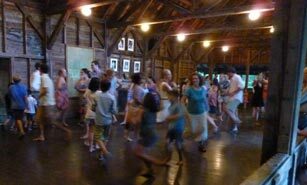 One of the best-kept secrets about Rockywold Deephaven Camps is that it is a perfect location in the Lakes Region of New Hampshire for large gatherings. 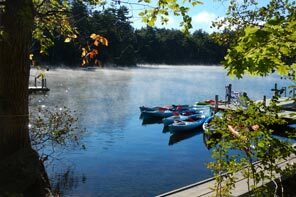 Looking for a great reason to visit Squam Lake? We are offering great vacation deals that could save you on your stay at RDC. If you are planning an event you simply cannot work with a better, kinder, more organized team than the one you will find at RDC. 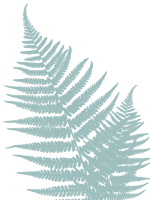 Becky Frost has an attention to detail that would make Martha Stewart proud. All the staff works so hard to help you achieve your goals, but they do it with such warmth, humor and grace it never feels like work at all. We’re always looking for great help at our unique, exciting and beautiful location. Do you have a great personality, strong work ethic and a love for the outdoors?